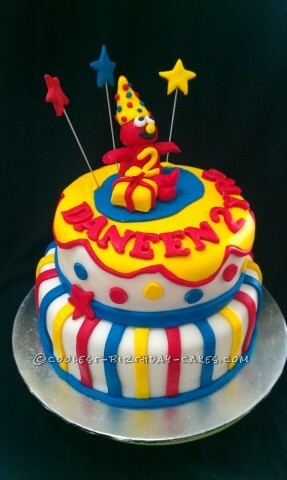 I had been requested to make this Elmo cake for 2 years old kid -Daneen. My customer requested a colorful cake for her kid based on sample from earlier cake that I made. 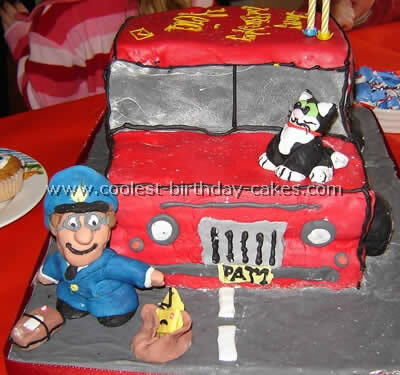 I really enjoyed making and decorating the cake although the whole process took more than 8 hours to be done. Since cake decorating is like a de-stressing moment for me, I enjoyed making it. Cake flavor is chocolate moist cake. I used fondant extruder to make the colorful stripes on the cake. With fondant extruder, I can get standard size stripes on my cake and make my decoration like a pro. As for Elmo figurine, I make it from fondant plus CMC powder. I just refer Elmo Figurines Tutorial from Pinterest. 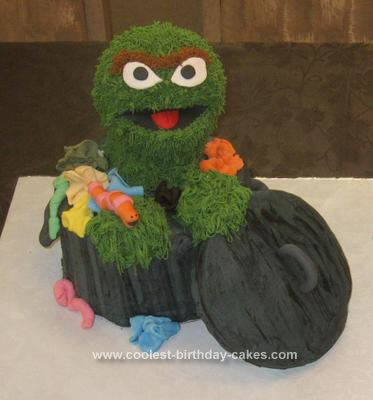 My customer was really happy on the cake decoration and according to her, the cake is so nice. This is the best part for me and I really feel motivated to make more 3D cakes in future.